Balance Battery Capacity: Keeping all the batteries in your electric vehicles equalized allows them to be completely charged and to give off a completely discharged. Make to give you a longer traveling distance and better experience. By adding our 48V eBike Sulfated Battery Equalizer to your vehicle power battery bank, the cell batteries are desulfated and equalized on a consistent basis so they will always be in as new ones. It is well known that when new and old batteries are used together for a period time, the life of new batteries decreases rapidly because of the imbalance of these batteries. There will be individual differences in State-Of-Capacity (SOC) and Internal Resistance (IR) Value of batteries after used for a certain number of years. It is called the battery unequalized. Due to the total floating charge voltage of the rectifier remains unchanged and keeps constant, when the battery bank is in floating charging status, the floating voltage of the cells with larger internal resistance will be higher than that of the normal battery, resulting in the normal battery's floating voltage is lower. Batteries floating charged in this unbalancing way for a long time will cause the higher voltage cells seriously dehydrated, and the lower voltage cell is in a state of under-charged. This way of vicious spiral formed will accelerate your Electronic Vehicles batteries premature sulfation and early failure. It's used in 48V20Ah~300Ah Electric Vehicle Power battery. It is not suitable for EV battery banks with cell deformed appearance, positive plate softening and corrosion, active material shedding, short circuit, open circuit. 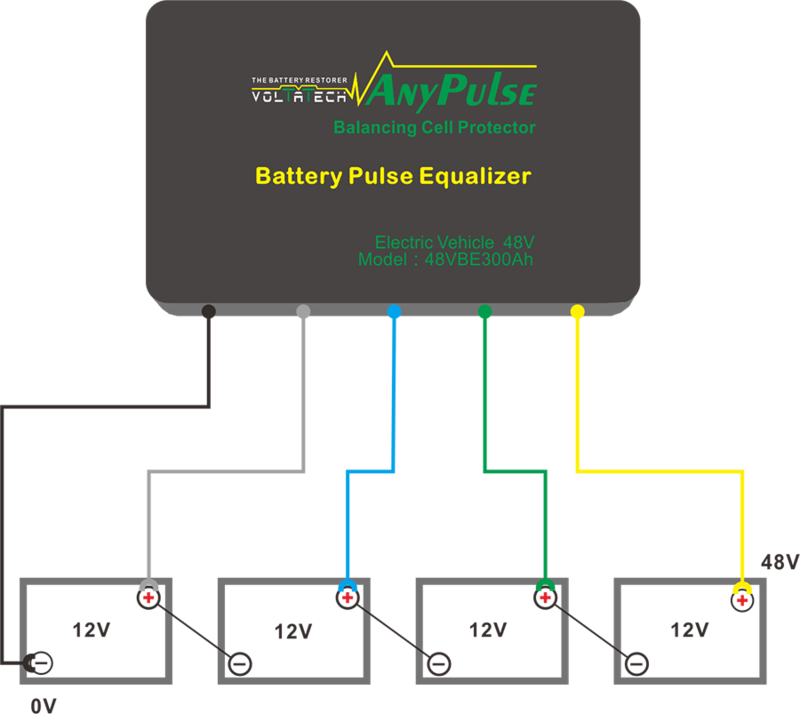 The 48V Electric Vehicle Battery Equalizer--48V eBike-E40 identified herein is covered by a 2-YEAR warranty valid from the date of purchase. This warranty covers defects caused by faulty components or workmanship, including the labour required for repair in our authorized workshops.This warranty does not cover defects caused by incorrect installation, improper use or abuse. The existence of such causes shall be determined by our workshops technical services. Looking for ideal Sulfated Battery Equalizer Manufacturer & supplier ? We have a wide selection at great prices to help you get creative. All the EBike Battery Equalizer Tools are quality guaranteed. We are China Origin Factory of EBike Battery Equalizer Booster. If you have any question, please feel free to contact us.